The days of cookie-cutter roof solutions are over. With so many different roofing materials and techniques available on the market, why settle for something ordinary? To get the roof that best suits your particular building concerns, you’ll need a roofing company that provides extensive services and solutions to all their customers. 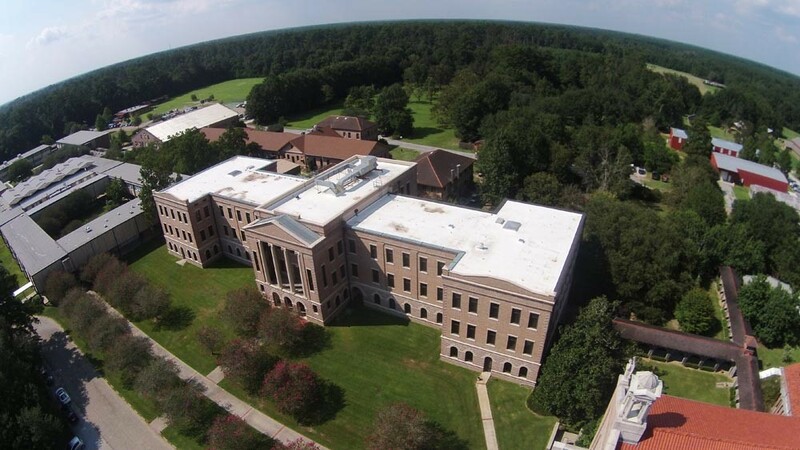 At Juneau Odenwald Roofing, Inc., we provide commercial roofing services for clients in Louisiana, Texas and Mississippi. As industry experts, we work on projects of all scopes and sizes, offering the widest range of commercial roofing solutions possible. Our full line of services and installations includes everything from roofing repairs to built-up roofing. As for new construction services, we offer fiberglass, organic shingles and flat/metal roofing solutions. These options allow you to customize the final look of your roof based on aesthetics, performance needs and budget. Our roofing team is proud to offer earthy-friendly services for the environmentally-conscious. Our green solutions include solar installations as well. The initial investment in solar panels and their installation pays off big, saving facilities & homeowners an average 70% on their monthly energy costs. If you’re looking for a renewable energy option for your home or business, get in touch with us at JOI. Of course, all roofs require regular maintenance and will eventually need to be replaced. It can be difficult to identify when your roof needs a bit of TLC and when it’s reached the end of its lifetime. At JOI, we provide free inspections to determine the best course of action regarding re-roofing, replacements and repairs. Built-Up Roofing or BUR is quickly becoming one of our most popular options. This technique protects the roof from water and UV damage through cold applied bitumen material. The BUR technique is especially attractive to those who want a low-maintenance, durable option. It also protects the roof from storm damage and strong winds. Sometimes it takes a personalized approach to make your vision come to life. If you need a project completed or a type of material you haven’t seen on our site, don’t worry. Juneau Odenwald Roofing can get the job done thanks to our excellent capability for custom orders. We are directly connected with our own factory, which produces specialty sheet metal. This 6,000 square foot facility uses computer-assisted equipment to provide us with all the necessary infrastructure to handle just about any custom orders. Our focus is on achieving short lead times with top-quality. This custom metal work allows to you build the most ideal roof for your building. Instead of focusing on the one-size-fits-all approach, Juneau Odenwald Roofing makes the most of a personalized process to achieve our customers’ vision and quality requirements each and every time. Beyond sheet metal, we also offer custom copper work. This classic material makes your home or business look even more attractive and timeless. For more information on our custom orders and commercial roofing services, contact our team of roofing experts at Juneau Odenwald Roofing, Inc., today. We’ll be more than happy to discuss the project at hand with you and determine the best way to get started.